When Callaway did a limited run of the Chrome Soft Truvis Stars and Stripes model in May of 2018 it went gangbusters, so in anticipation of the upcoming Ryder Cup in Paris the company is at it again. Beginning on August 24, 2018, the Stars and Stripes version of the Chrome Soft Truvis, as well as a Chrome Soft X Truvis with the same Stars and Stripes pattern will be available at retail. 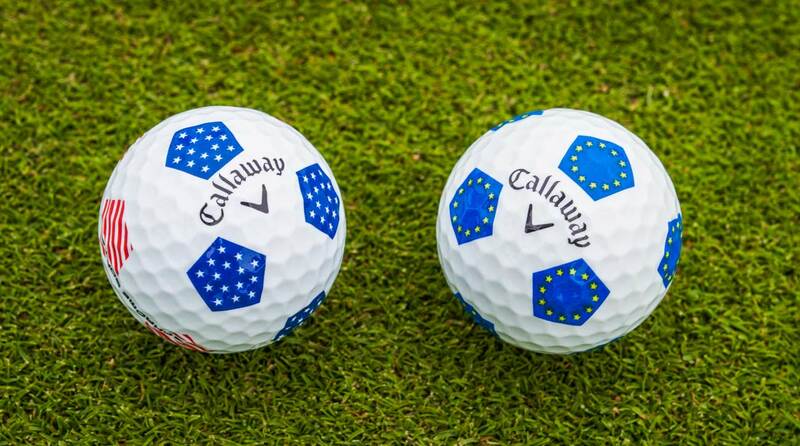 And for those who like to root for the Euros there's also a Chrome Soft European Truvis model, complete with a European-themed white, blue, and yellow design. All three models will retail for $44.99/dozen. Each of the Ryder Cup inspired Truvis golf balls feature all of the design characteristics and performance benefits of the standard Chrome Soft and Chrome Soft X models, including a new larger, Graphene-infused Dual Soft Fast core that optimizes energy transfer at impact for high launch, low spin distance off the tee and enhanced control around the greens. Every golfer needs a little help on the greens. GolfLogix now offers an essential green-reading tool. Download it now! An extremely thin Urethane cover and low compression core round out the features by providing exceptionally soft feel and feedback at impact.